It’s always fun, incidentally, watching people get one-upped when they try to pull the Mac old-timer card. You know the kind of thing I mean; someone posts to a forum saying that while they know how to type an acute accent on a Mac by tapping Alt-E, they’d like to know how to get an umlaut. The reply comes that they should tap Alt-U, and by the way it’s not actually called the Alt key, it’s called Option. But then, as sure as night follows day, it’s followed by someone pointing out that it was actually originally called the Closed Apple key and by the way that diacritical mark was originally called a diæresis not an umlaut, followed by the second guy pointing out that the original poster had asked about typing the symbol on a Mac and since the Closed Apple convention predated the Macintosh he was quite right to have said it was originally called Option, and so on and so on until the heat death of the universe. I do love a pedant; they’re my people. Let’s start at the beginning, so that you too can have heated, detailed, and highly pointless arguments about Apple modifier keys on the internet. Even most manual typewriters have a modifier key—one you press in conjunction with other keys to change their function—though of course in the case of a typewriter usually the sole modifier key is Shift. After all, there’s not much else you can do with a typewriter save tap at the keys to punch out letters. With computers, though, you can do so much more, so instead of letting keyboards spawn hundreds of extra keys—one each for copy, cut, paste, one each for é, è, ë, ê and so on—modifier keys were quite literally pressed into service. But it wasn’t always thus. 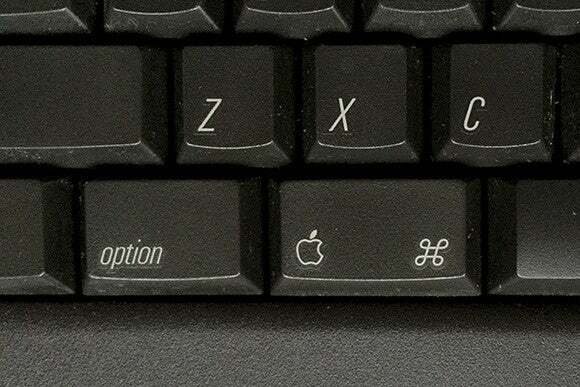 The first Apple computer had only one besides Shift, the venerable Control key. The Apple IIe and III’s keyboards, though, added two different Apple keys as additional modifiers; one was called the Open Apple key which bore an outline of the Apple logo and which was analogous to today’s Command key, and the other was the Closed Apple key, a filled-in Apple symbol silhouette whose role was more like today’s Alt key. 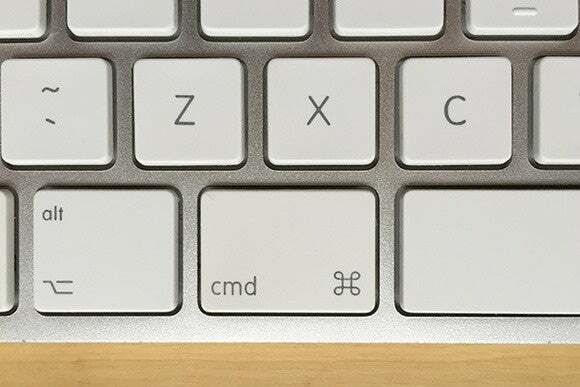 Before the Macintosh, the Command symbol we’re familiar with today—that “looped square” symbol on the key to the left and right of the space bar on modern systems—didn’t exist. Or at least, it didn’t exist outside Nordic cartography. Famously, it was Steve Jobs who put an end to the proliferation of Apple symbols not just on the keyboard but all over the interface, and the Mac gained a new symbol for its primary modifier key, ⌘. Well, I say “put an end to,” but things are never that clear-cut. With the Apple IIGS, Apple also introduced ADB, its now-old connection for input devices, but because ADB would be used for the Mac as well, the primary modifier key on Apple keyboards would have both the new ⌘ symbol and the old Open Apple symbol on them to allow them to control both the old and new systems. That weird and potentially confusing state of affairs continued for a couple of decades, but in 2007 Jobs’ vision was finally realized and the Apple symbol was removed for good. 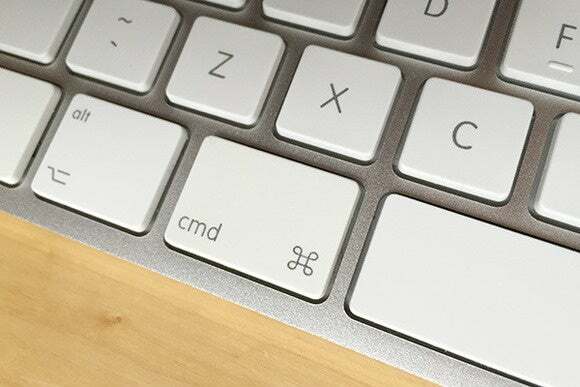 In its place, on U.S. keyboards, the word Command joins the ⌘, while in Europe it’s Cmd. One little coda: you might never really have thought about the ⌥ symbol before, the symbol that replaced the Closed Apple, but if you look at it, it clearly represents an “alternate” route, or the idea of one option take over another. Read it left to right, as we read English and many other languages, and you see a line which would continue straight, but it’s been diverted, a little bit like a train crossing over a set of points, to an alternate route lower down.